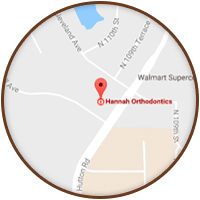 Because teeth can continue to move throughout life, we feel that individuals who have undergone orthodontic therapy should wear retainers indefinitely. A patient should wear retainers all the time for two weeks following the removal of braces. After approximately two weeks, the patient can wear the retainer just at night. 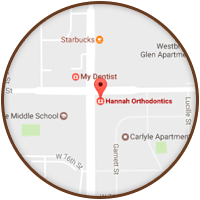 An appointment for a retainer check should be scheduled six months after the initial removal of braces and then on an as needed basis. This wire should stay on forever. 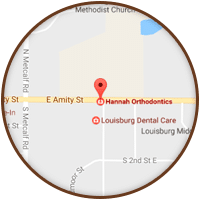 The only exception is if your family dentist says you are not keeping it clean and it is beginning to cause gum or bone problems. If this should occur, please have the wire removed and replace it with a removable retainer. 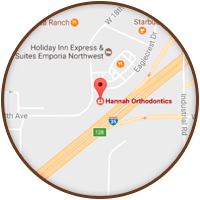 The removable retainer should then be worn as prescribed by Dr. Joseph Hannah and Dr. Richard Hannah. The fixed wire will protect the teeth as the patient gets older and your facial muscles get tighter. Please have this wire monitored by your family dentist at your six-month check ups. 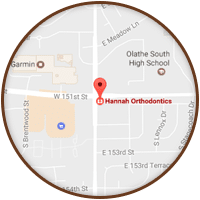 Don’t forget to bring your retainer to every appointment!